Note: It is fitting that the Hill of Tara, the historic site where it is said the High Kings of Ireland were once crowned, is on a road with no name. This sets the tone for the experience of County Meath, and within it, the enchanting hamlet of Castletown, a place deeply dedicated to preserving the beauty of Celtic life in all its aspects. Castletown is wonderfully lacking in the exacted labels of modernity, with lanes and lands that have names known only by the local farmers and families. It is here that The Hill of Tara is embedded, and without a GPS, or mapping system on your phone, you simply will not find it. Be prepared. The deeply rural aspect of Tara’s location has been challenged by organizations wishing to modernize this area with more expansive highways, and this effort has been met with overwhelming resistance. 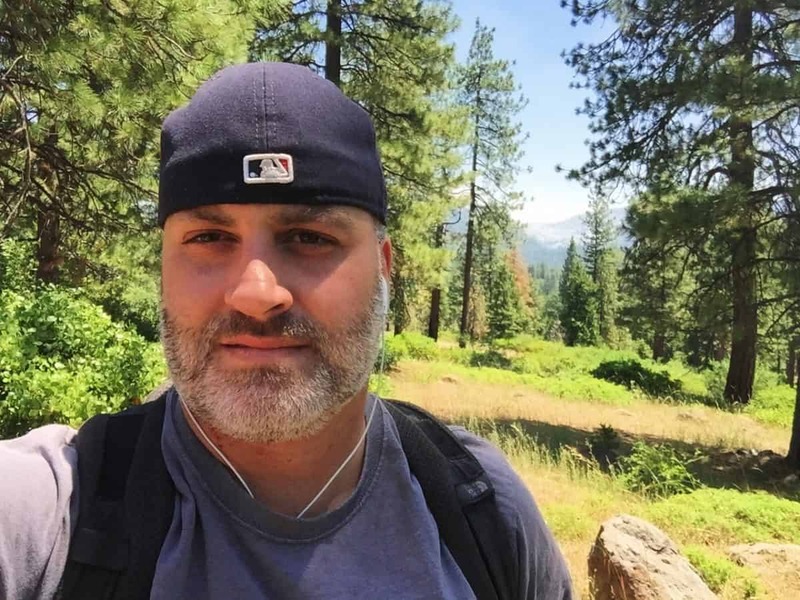 The people here clearly value a connection to the sacred land over monetary expansion, and this gives us yet another connection between Celtic and Native American culture. The Hill of Tara is the central natural monument for the earliest Celtic identity of the Irish people, while Newgrange is the Megalithic complex with equal stature. It is understood that the High Kings of Ireland were crowned, and kept their High Seat, here. There is a standing stone and stone chamber at the top of the Hill, marking the very spot where the High King was crowned in ancient times. There is a main trail from the car park, and several minor trails that encircle the hill. A full hike of the area is about 4 miles long, if you so choose, rounding the Hill. Perhaps more importantly is the option to sit down and understand the depth of what this place represents, and feel what it exudes. It is not a cliche taking place at Tara’, it is in fact one of the realest connections you can feel to the landscape in all of Ireland. There are several specific monuments that should not be missed here. The stone chamber is a beautiful example of corbel layering in the Celtic style. It is placed specifically at the zenith of the Hill, and built into the ground in order to connect with the earth below. 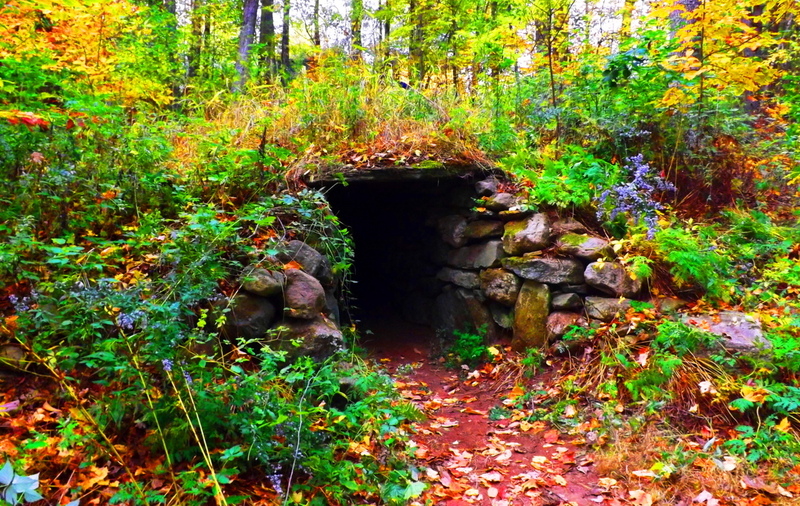 This exact style of stone chamber exists mysteriously in the forests of New England. 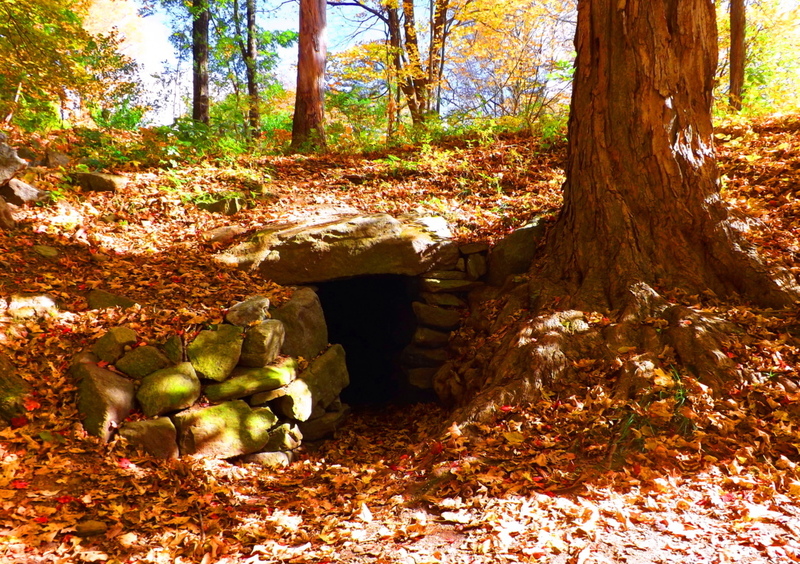 Below are examples of the stone chambers at Upton and Nashoba Brook, Massachusetts/USA. They are very similar in construction to The Hill of Tara stone chamber, but lack the pinnacle context of the Irish chamber, so obvious with a single glance. The question arises: What are identically constructed stone chambers doing an ocean apart from each other? 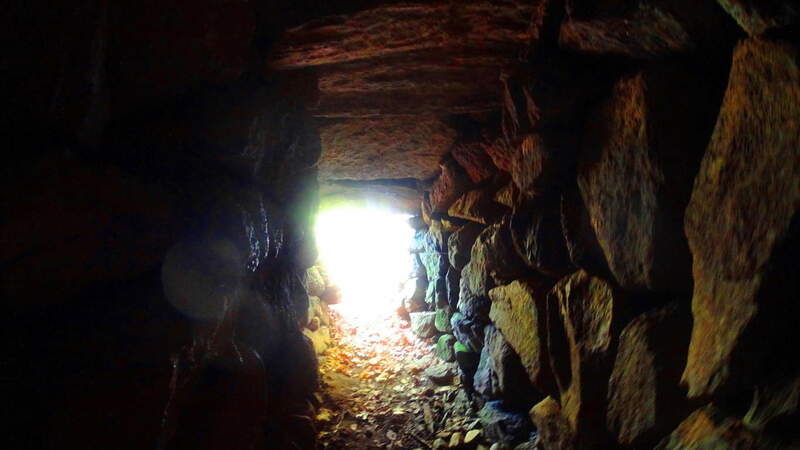 A full analysis of the stone chambers, both in Ireland and New England, may reveal astrological, as well as geomorphic significance. While standing inside the Upton Stone Chamber when I took the image below, over two years ago, several small glowing orbs began floating around my camera lens. (image below/left of center, 2 orbs connected) This is a strong indicator for the purpose of harnessing energy in these chambers. 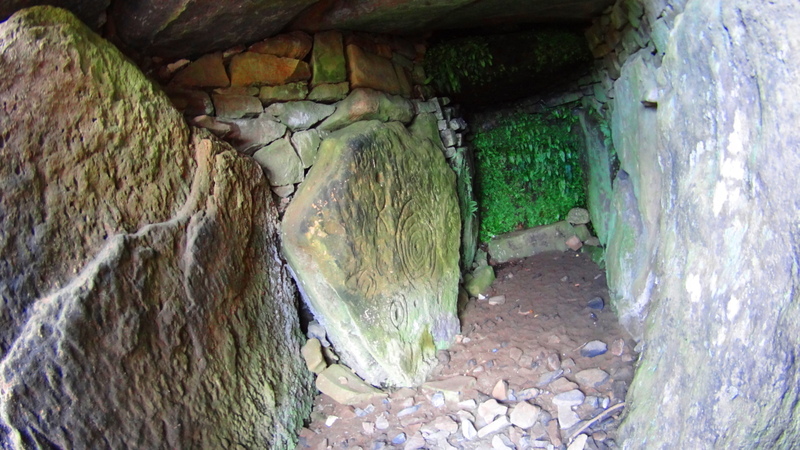 Within the Stone Chamber at Tara’ is a type of “keystone” (image below) which maps out the megalithic works of the entire area. On this day I didn’t see any orbs in the Chamber, but it was abundantly clear that Tara’ is a spiritual center that was designed in a very specific way. This would’ve taken an enormous amount of effort. These megalithic monuments date back at least 5000 years. It is very likely that the High Kings chose this place specifically because they knew of an even older megalithic culture that once dwelt upon this Hill, which was a culture capable of harnessing energies through the positioning and aligning of stones with the Sun, Moon, and Stars. 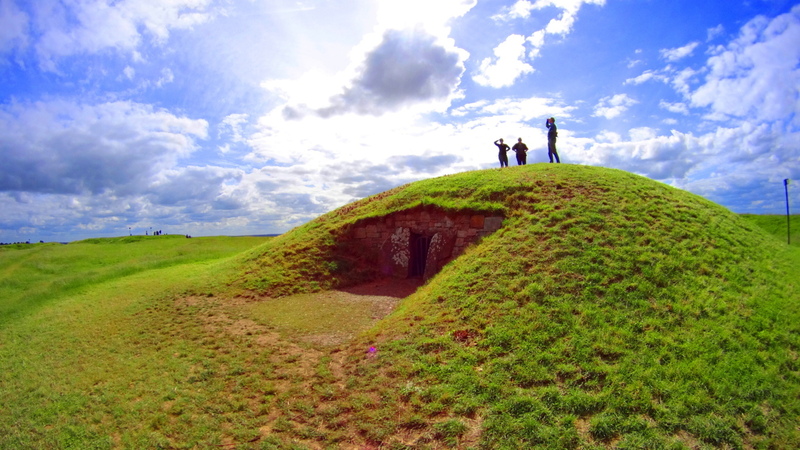 The Hill of Tara is a type of energy center, with several large concentric earthworks built into the hillsides. The exact meaning of concentric earthworks is not known, but science is beginning to understand fractal and concentric patterns as extremely useful in the reverberation and harnessing of electric currents. 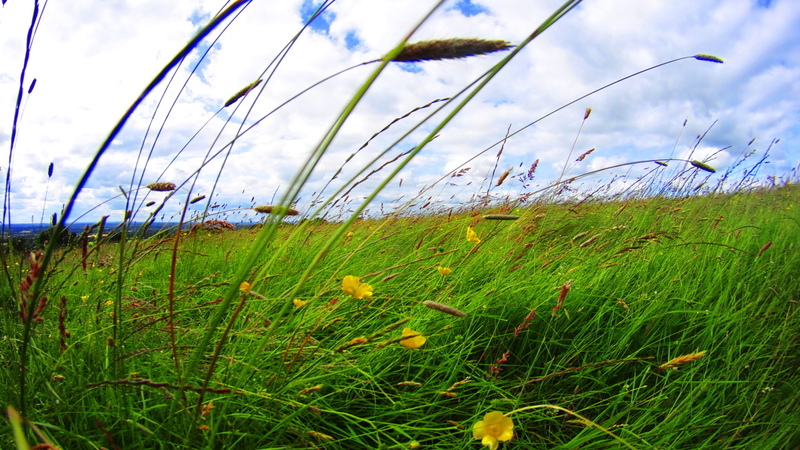 Here is a picture of high plateau of Tara’s wildflowers from up close. They are delicate and beautiful, colorfully vibrant, rich, and unfading, very much like the description of Cerin Amroth in Tolkien’s Lotlorien. Perhaps it was because the angle of the light on the field was personally different for me; just as the Irish angle on the Sun is different than that of the angle of the Sun in the American northeast where I’m from; but from my foreign perspective the Hill seemed to literally glow in the late-day Sun. It glowed in a way I had never seen before. I could feel a type of electricity all around me, and yet it was a simple landscape on the surface. I truly had to sit down and collect myself for a moment as my head was nearly spinning. I know it sounds strange, but it’s true. It is very hard to explain, but as I came up the Hill, I began to see that the Irish understood this feeling, completely. I included the fictional description of The Hill of Cerin Amroth experienced by the characters of The Lord of The Rings above because it was the most relevant passage I could find in all of literature to describe my very real personal experience with The Hill of Tara. When I arrived people were literally sprawled out in the grass, attempting to harness the energy of the Hill. (image/below) I found myself blinking hard at what I was seeing. I walked above the stone chamber to get a glimpse from the highest point of the area. Two Irish kids jumped up in front of me and began posing for a picture in the most hilarious way. They were absolutely carefree. With all of Ireland in the backdrop, I suddenly felt as if all my concerns were, at best, ridiculous. Off in the distance I marked a couple kissing, and then not far from them were college kids sitting and talking softly above the ancient circular rings now covered with earth. Coming from the America of the last 15 years, I just wasn’t accustomed to this type of uninhibited joy and calm. There was no stress, no observational angst, no fear whatsoever. And you could feel it. Whatever the original function of Tara’ once was, there is a remnant of it still today. On a sunny day Tara’ feels like the safest place on earth, and this is no exaggeration. In the hills beyond are ruined bell-towers of abbeys long since diminished. It should be appreciated by the readers that these towers, although they look extremely old in their picturesque way, are practically young, comparatively, to the stone chamber and standing stone at Tara’s peak, as well as the stone chambers in New England, for that matter. Bective Abbey, a classic Medieval complex, is only 1.5 miles from Tara’, and it is a wonderfully tranquil place. (image below) You can walk the ground and see some beautiful architecture from inside the cells. 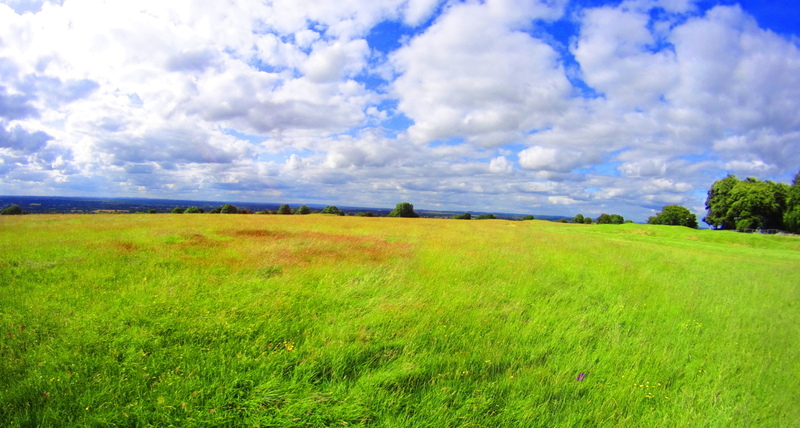 The monks must have known how spiritually potent this area was, with its proximity to Tara’. They would’ve gladly choose to live-out their days in the presence of The Hill, knowing they could certainly do a lot worse. Adding to this energetic feeling of the land and stone-works from the earliest Neolithic period, to Celtic and Medieval, is the oldest element of all, the Boyne River, which cuts North to South through the area. 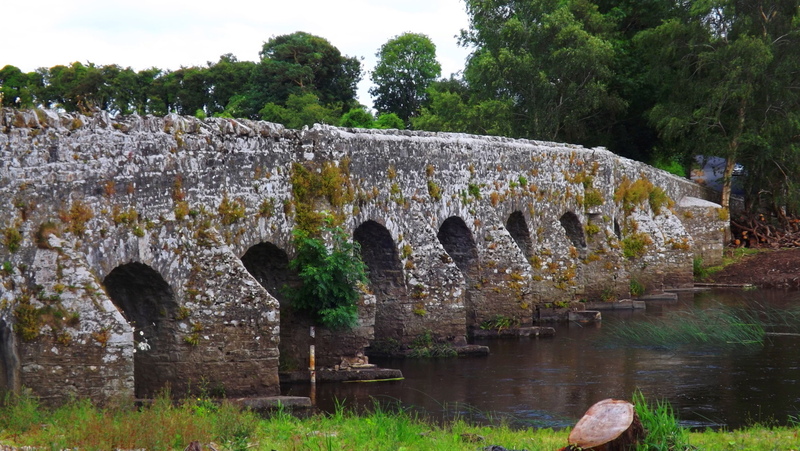 This is the Boyne River Valley, an ancient and sacred landscape filled with stone engineering. “The High Man”, a Celtic complex of astrologically-aligned hill-forts, wedge tombs, and standing stones, is not far from this area. Its monuments are built in precise fashion along the Boyne river in order to be a reflection of the Belt of Orion astrological system actually built into the Irish hills. The entire area is absolutely sacred. 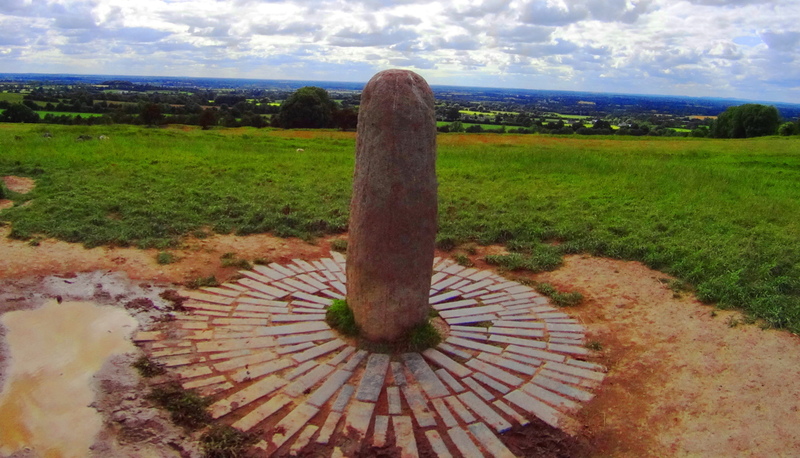 The Hill of Tara has been preserved by the efforts of Irish citizens who have resisted the modern world’s “advances”. They have openly protested any modernization of the area. If you are lucky enough to find the Hill of Tara and walk the grounds; if you come to Castletown and cross the river Boyne; realize it is anything but a simple hike through rustic terrestrial trails that you are taking, but rather, it is a hike into the way things were in the beginning of Time.